Craving some no-fuss spring shopping? Then we highly suggest you head to Need Supply. Currently the retailer is stocking the chillest designers from Collina Strada to Eckhaus Latta, meaning you're guaranteed to be getting the coolest product available this season. You know all those influencers who just get it? Like Courtney Trop, Alyssa Coscarelli, and Reese Blutstein? They all wear the brands stocked at Need Supply on the reg, which is another reassurance of just how cool this retailer is. Ahead I've rounded up 20 of my favorite "spring tings" (no, this isn't a typo—I'm just channeling Drake over here) available at Need Supply at this moment. If money wasn't an issue at all, I would be stuffing my cart to the brim, but in the effort of being realistic, I tried to narrow my selection down for you to glance at. 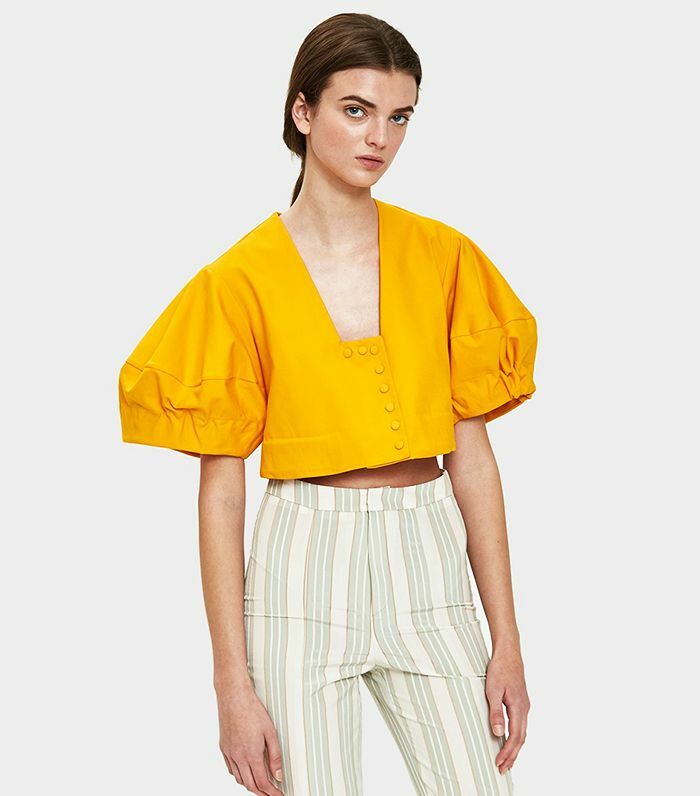 From a yellow billowy crop top to the plastic Cinderella heels of your dreams, happy shopping is inevitable in the selection ahead. You might even find yourself attracted to a few trends you thought you'd never wear. Who's to say? Add a little avant-garde to your wardrobe. Abstract heels are everything right now. Available in sizes 38.5 to 40. We know you have just about every clothing item in purple by now, but what about a linen crop top? A bright trench that will make a bold statement, regardless of the occasion. The warm-weather way to wear all the primary colors. This retro tee is giving us '70s vibes all the way. A fluorescent tote bag that'll solve all of your problems. This modern, sophisticated flounce dress is ideal for any spring day. The most creative top we've seen in a while. Get one for you and one for your bestie. The striped short-sleeve sweater you've been looking for. You absolutely need these date night shoes. Your "picnic in the park" dress is right here. Give us all the geometric accessories, please and thank you. These crisp, wide-leg crop jeans are everything we could have asked for. When luxe meets beachy, this is what you end up with. Meet your go-to spring wedding dress. The corset belt is removable, but we're not sure you'll ever actually want to take it off. An appropriately named brand for this The Matrix–esque jacket. Where have these sandals been all my life?! Available in sizes 37.5 to 39.5. 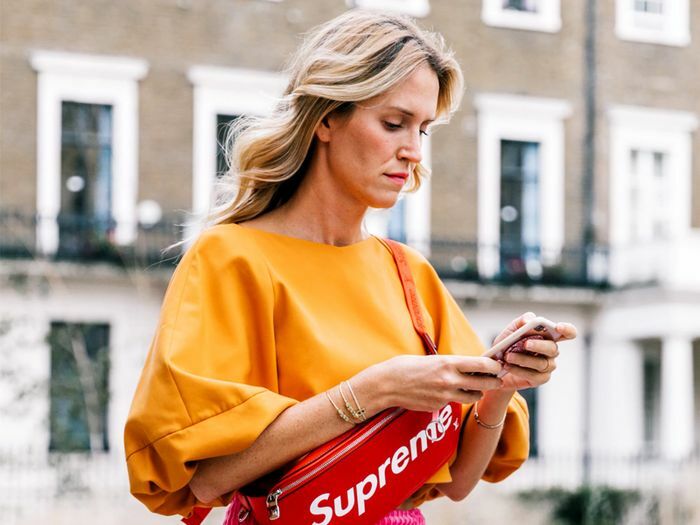 In case you want some shopping selections that are a little more tailored to your personality, check out the sneakers to buy this spring according to your zodiac sign.